Boutique operation Kanangra, a premiere agistment and niche breeding operation in the Thompson Creek Valley (only a 15 minute drive from Scone), has favoured the Classic Yearling Sale over the past few years as a venue for many of its top-drawer yearling products. 2019 is no different, with 3 colts and 5 fillies set to breach 6 figures when bidding commences. The showstopper is sure to be Lot 85, the imposing filly by Flying Artie's sire Artie Schiller from Zeditave mare Hell It's Hot. This filly is of course the half-sister to Gr1 Galaxy winner and triple Gr2 winning flying machine In Her Time. This is not only a successful family but one which continues to produce a galloper with truly exciting potential. Only recently, this pedigree was further bolstered by the dual Melbourne victories of outstanding 2YO prospect Yes Yes Yes. Other stakes-winners on the page include Flaming Hot, Craig's Dragon and Harlem River. 20 Lots earlier is a colt with serious commercial appeal. He's by first crop yearling sire Outreach, a son of Champion Juvenile Sire Exceed and Excel. Not only is he the brother to Gr1 Golden Slipper winning filly Outreach but he's from a half-sister to successful sire Reward For Effort. The dam of this exciting colt is Barcelona Girl. 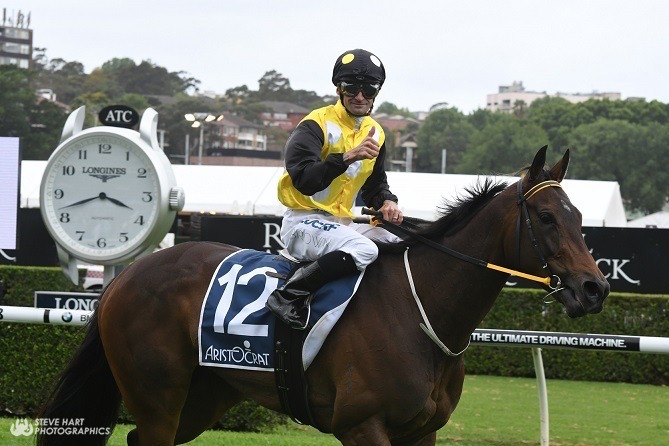 With 5 to race for 4 winners, she has already produced Gr1 Stradbroke Handicap winner Under The Louvre (now a highly rated young sire at Grandview Stud). The Kanangra Draft features 2 more offerings by Outreach. Lot 35 is from Desert Sun mare Al Sahra. She's also a stakes-producing mare with one of 2 winners so far being ATC Listed winner Alart. Importantly, this is also the family of In Her Time's dam Hot As Hell. Later in the draft Lot 449 (also by Outreach) is sure to have many admirers. The Hurricane Sky dam Leyenda has produced 7 foals for 7 winners. Prominent amongst these is Isaac, a highly talented Hong Kong gelding who created headlines when 'streeting' a field a couple of season's ago. This filly has the potential to be a juvenile with serious precocity. And statistics suggest almost certainly a winner. One stallion that continues to fly just under the highly commercial radar but is always in the commercial picture in reality is Nicconi. Lot 893 is by Nature Strip's sire from Strategic mare Incheck. Another mare with a perfect production record of 6 to race for 6 winners. This is a solid US family boasting Gr1 Churchill Downs Turf Classic winner America Alive and Gr2 Mrs Revere Stakes winner Anguilla. The type of yearling you buy to show-up early and head towards a mile perhaps at 3 and 4. Redoute's Choice stallion Albrecht only has 3YOs as his oldest yet can already boast having produced classy conveyances such as stakes-placed Sanglier. His filly (Lot 936) in the Kanangra draft is certainly worth inspection. A top line male and bottom line female duplication of Danehill is instantly attractive. Dam Miss Dubai is a young mare from a top family. Stakes-winners on the page in include Springsteen, Latin News, Voodoo Beat and Savanna Amour. The final two offerings in the draft are intriguing. Lot 859 is the colt by Gr1 Cox Plate winner Adelaide from Encosta de Lago mare Delarouze. 4th in the SA Oaks, Delarouze has already produced 2 winners from 2 starters. Second dam, stakes-placed Fayrouz has 7 winners from 8 starters. This is an honest and reliable winning family. Meanwhile Lot 923 is by Gr1 winner Jameka's sire Myboycharlie from Marie de Guise. Continuing the trend she's 4 from 4 in the winners to runners stakes, and has a nice Irish family tracing to dual Listed winner Shannon Bank.